Here is the text of the keynote I planned to give at Twitter Math Camp. Actual product may have varied substantially in content (but not in spirit) from the typed original. If you’ve never seen me talk in a large group you’ll have to imagine the energy, cadence and passion you see in my ShadowCon talk brought to this longer form. Thanks to the Twitter Math Camp organizing committee for inviting me to talk, and to the whole community for supporting my work over the years. It means a lot; I hope to return the favor many times over. Christopher Danielson teaches and writes in Minnesota. You may know him through his documentation of his children’s mathematical antics on Talking Math with Your Kids, through his exhortations not to share bad “Common Core” homework assignments on Facebook, or through his shapes book Which One Doesn’t Belong? Of course you may not know him at all. But if you do, you’ll recognize that he holds little sacred besides the responsibility we take on in this profession to foster the growth of young minds. He is currently working on a teacher guide for Which One Doesn’t Belong? to be published by Stenhouse in the spring. He encourages each and every one of you to promote the heck out of Common Core Math for Parents for Dummies. 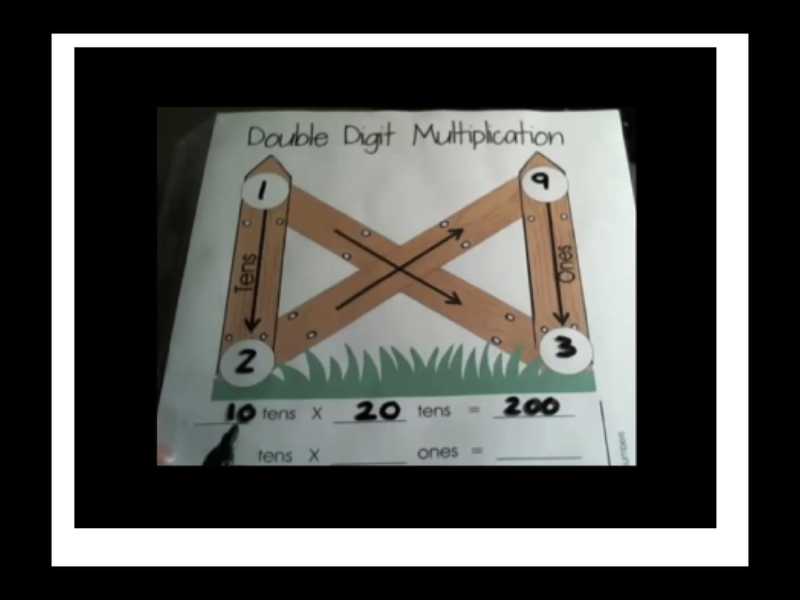 Most of his time this summer is devoted to bringing Math On-A-Stick—a new event to support children and caregivers in informal math activities—to the Minnesota State Fair, and he continues to work with Desmos on developing online networked classroom activities such as Polygraph and Function Carnival. This is a very American talk about teaching. From what I’ve learned about teaching in other countries with robust educational systems—Singapore, Finland, Japan, Germany, and so on—the U.S. is unique in its tradition of sink-or-swim for teachers. We equip new teachers with a modest set of tools and experiences, and we say Do the best you can with what you’ve got! At the policy level, we understand that this is a disaster. But in the American fashion we try to legislate and standardize our way to improvement. We issue pacing guides and measure fidelity to adopted texts. And of course we measure teacher quality by testing students in an effort to standardize learning. In this sense, the message of my talk today is a very American one. My message is this: Find what you love. 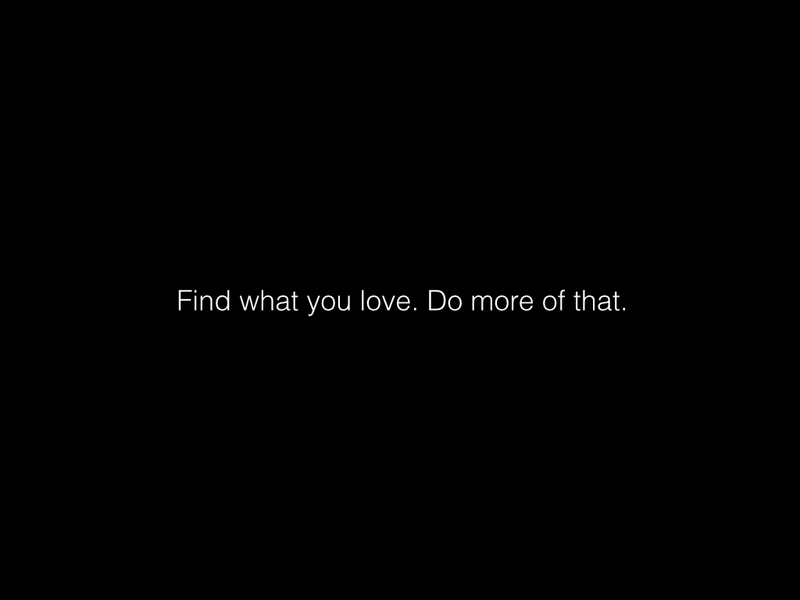 Do more of that. And that will be a valuable takeaway, but it’s not the heart of my talk. The heart of my talk is more forward-looking and hopeful. Sending minimally prepared teachers into the field, leaving them to figure it out on their own, and then evaluating whether they have—these things we do well in this country. If you believe that quality comes from sorting out the bad apples, then we’ve built a good machine for this, and the major impediment to improving it is the unions. I assume that this is familiar rhetoric. What we don’t do well is orient and induct teachers to a community of professionals. We don’t structure our communities to draw on the diverse strengths and passions of its members. This is something that I understand those other nations I mentioned do much better than we do. For me, the group assembled here, together with the ones who would be here if they could, and many more of the teaching professionals we interact with—whether regularly or sporadically—for me, this group is a community. A community that grows and changes in response to the contributions of its members. It’s not a community that agrees on everything—no community can while remaining honest, open and vibrant. Instead, disagreements offer healthy opportunities for the community and its individual members to grow. So the hopeful vision in my message (Find what you love. Do more of that.) is that in identifying where your heart is in this profession, you can strengthen your voice and focus your efforts as you contribute to and help shape this community. What our larger American educational system does poorly—foster a professional community that grows and responds to the diverse strengths of its members—the MTBoS does quite well. Rectangles or stats or 3-Act Lessons or Spirals or Technology or Groups. I want you to dig deeper. Those things embody what you really love. Whatever you are truly passionate about is bigger than these things. If you can say why you love rectangles or stats or whatever, you’ll be closer to the kind of thing I have in mind. So now I’ll tell you what I love and how that—in the context of what I have to do—helps to guide my teaching and my contributions to our community. This is so nerdy. I really hope this is a safe space for this. The spaces between the certainties are much more interesting to me than the certainties themselves. Ambiguity can provoke wonder, surprise, reflection and clarification. I’ll share with you how I incorporate this love in the work I do in the classroom and in our community. Let’s start with a video. Children are smarter than this. In case you aren’t familiar with it, I’ll give you the rap I give kids. 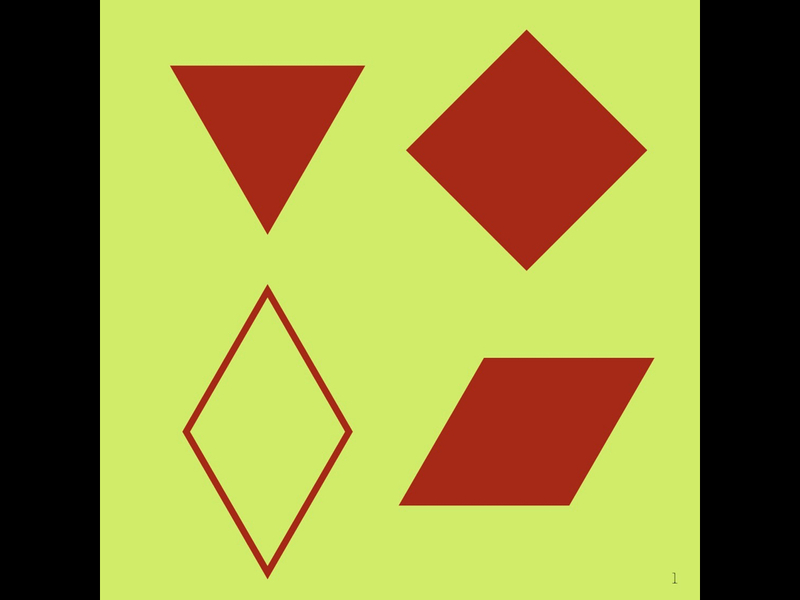 Let me tell you what children say in response to this richer set of shapes. As they talk about these things, I summarize, paraphrase, probe, review and restate. By the time we’re done, we have a list of properties of shapes. Which of these properties are they supposed to use in deciding which one doesn’t belong? Which of these properties are important? Which ones matter? It depends. 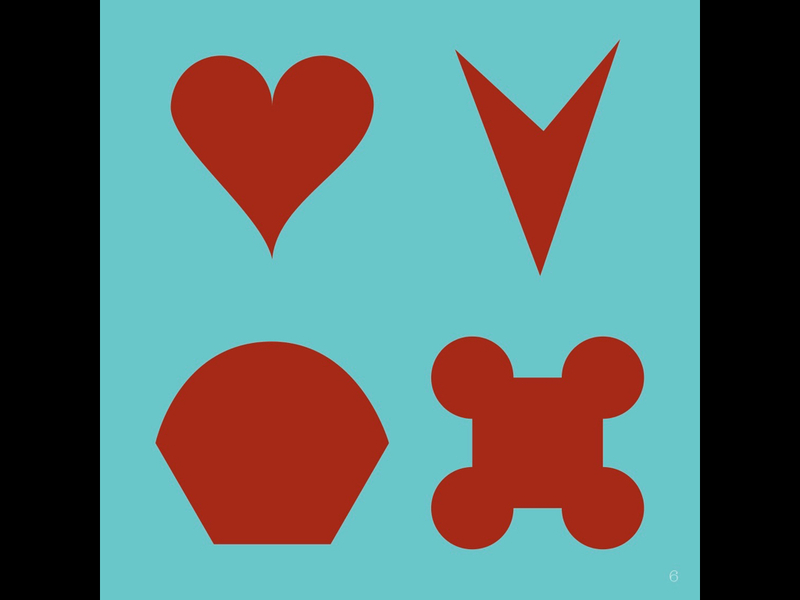 Here’s another set of shapes. Sometimes ambiguity comes from studying new objects for which we don’t have a repertoire of vocabulary. Which properties are important? Which ones matter? We don’t know yet when we’re looking at a new class of objects. But when we do agree that a property is important, we can name it. So all that vocabulary which is associated with geometry—that vocabulary isn’t important on its own. Instead it points to important properties, or to properties which somebody has deemed important. 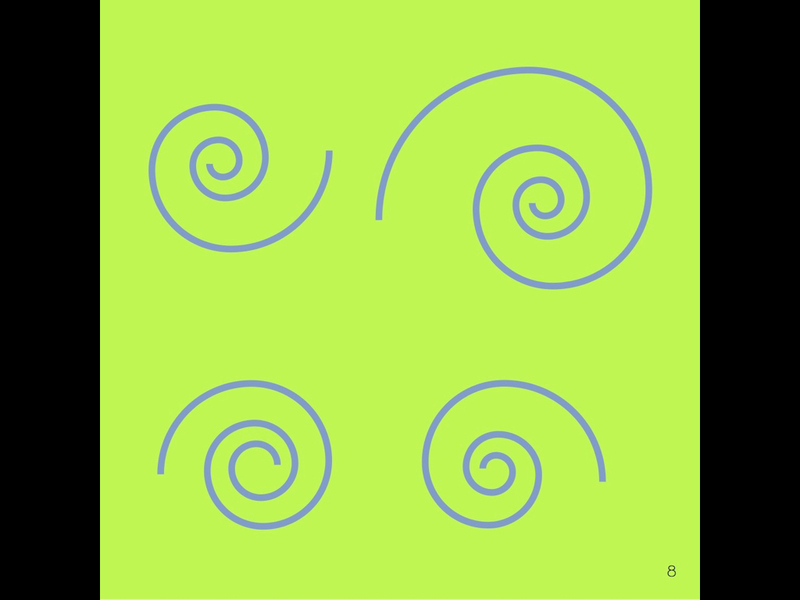 Here is what kids do with the ambiguity of the spirals. 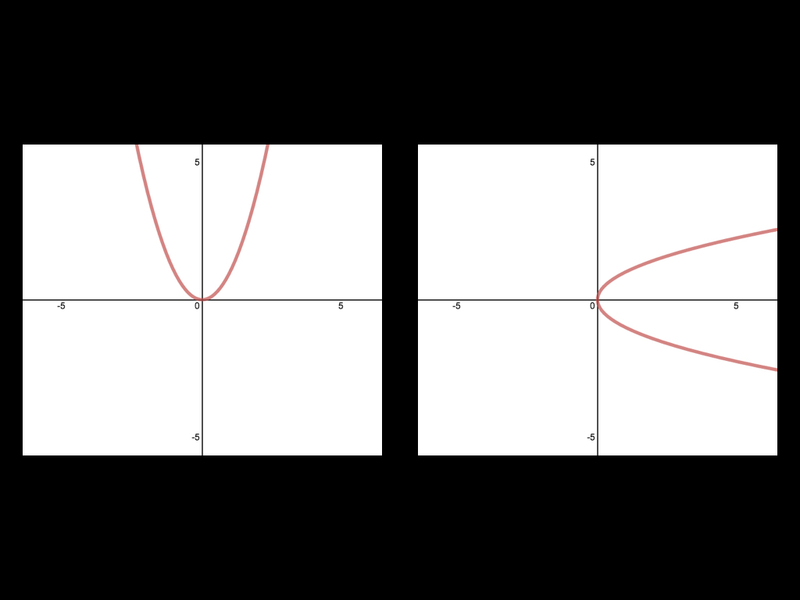 In my capacity as a College Algebra teacher, I have to teach rational functions. So I played Polygraph: Rationals with my students. 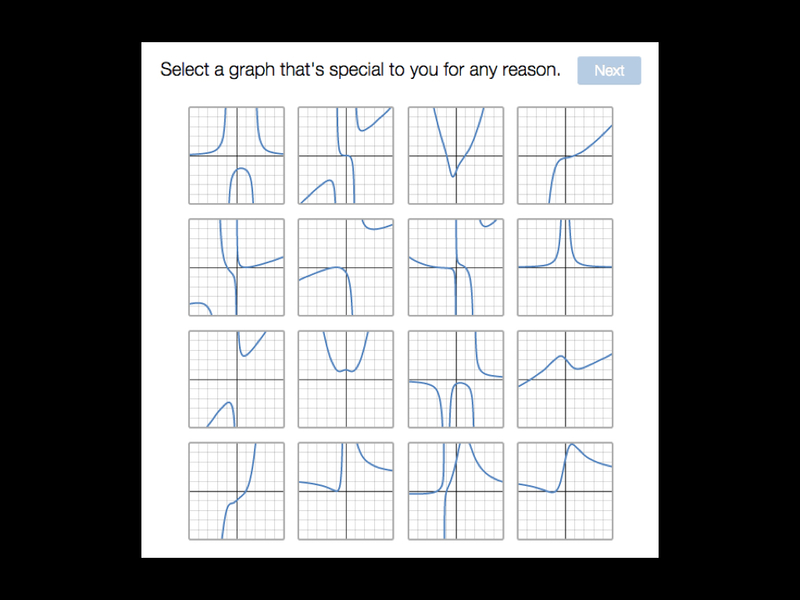 The design of Polygraph is that it puts you in the position of needing to describe to somebody else what you see before you have a shared vocabulary for it—as with WODB. But now importance has an implicit definition. A property is important if it’s useful for distinguishing between functions, and for helping your partner to do that too. At the beginning of the game ,we shuffle the functions to suggest to you that location in the grid isn’t important. But maybe you think it is. So you ask about it. And you’re likely to get burned. Orientation, by the way, is important in this context. 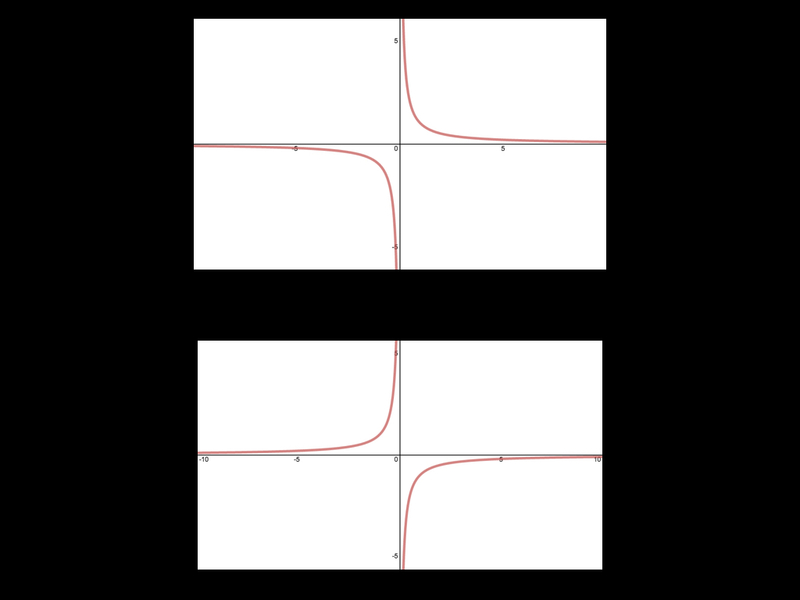 The difference between 1/x and -1/x is one of orientation. So orientation doesn’t matter in plane geometry, but it does matter in coordinate algebra. And the graph on the left is a function, but the one on the right isn’t. 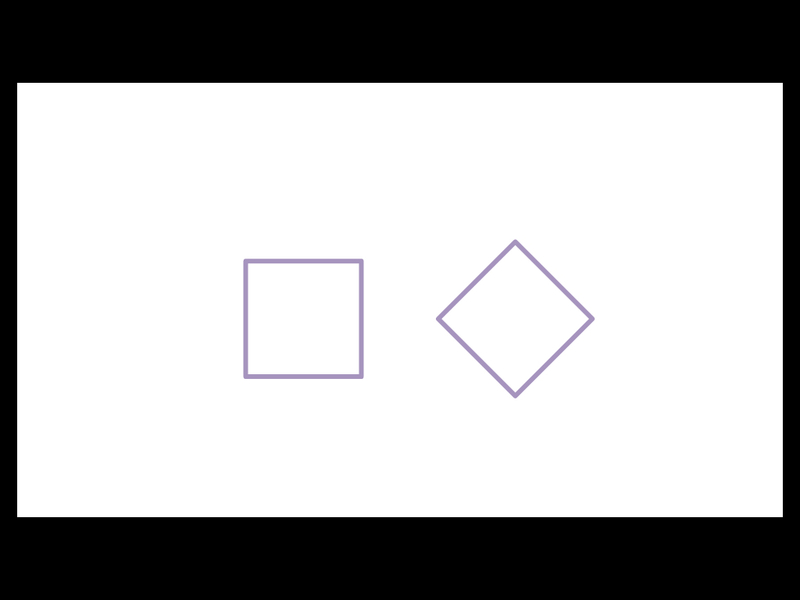 But these are both squares. I’ll finish with an example from the community. Meg Craig cares about kindness and empathy. She wrote about this on her blog recently. She urged us all to remember that We as teachers are all trying, to the best of our ability, to have students reach the best of their ability. If you haven’t read this post, you need to. That kind of thing has a lasting impact on our community. Just the other day, I got worked up about fences. There is so much wrong here. Unambiguously wrong, and I called it out. Then I was thinking later that day. OK. That was angry Triangleman. What could kinder gentler Triangleman do? Well, what do I do in my classroom? What do I do at home with my children? In both of these contexts, I educate patiently. I accept people for where they are and I try to help them see new perspectives; to think differently about things than they do right now. What does that look like on Twitter? I don’t know. It really is such a great medium for ranting. But I do know that the reason I’m asking myself this is that MathyMeg brought her strengths and passions to our community. I told you to find what you love, and to do more of that. I told you that I love ambiguity. Maybe you’re the opposite of me. Maybe what you love is certainty in mathematics. How can you help your students appreciate and understand the unique nature of mathematical truth (different from all other disciplines)? Maybe your heart is with the beauty of geometric forms, or the rhythmic regularity of patterning. Maybe you love how statistics can inform us as we strive to make equitable decisions in an unjust world. Each of these is a more important grounding for your classroom perspective than a pacing guide or textbook sequencing. But none of them is antithetical to these either. What you love can be found in what you have to do. So my message to you is simple. Name what you love—be explicit about what makes your mathematical heart sing; what resonates in the depth of your teacher soul—and look for it in every corner of your professional life. Share with your students and share it with us, your colleagues and your community. Love: Challenging myself and others to see the ubiquity of math around us… not pretentiously, but as an enlightenment that causes discussions…with educators we sit with at summer prof. dev. or twitter, students we teach beside, and dare I say with strangers we meet along the way. Thank you so much for taking the time present and then to share here. Couldn’t make it to #TMC15, so it has been great to get what I can from people’s blogs. It’s clear to me, watching the Sesame Street video, that the circle on the bottom right hand corner is not like the others because it is in bold, and the other circles are not. The circle on the top right is also different because the man in the video pointed at it. I love your message here Christopher.